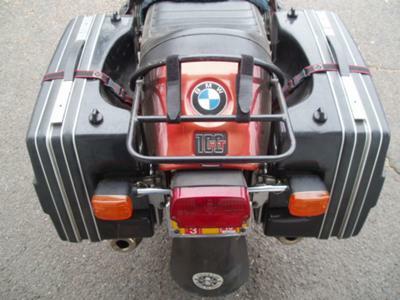 The 1979 BMW R100RT Classic for Sale is a classic BMW touring motorcycle in very good mechanical all original shape other than the new clutch plate, brake pads, rear springs and aftermarket top box. 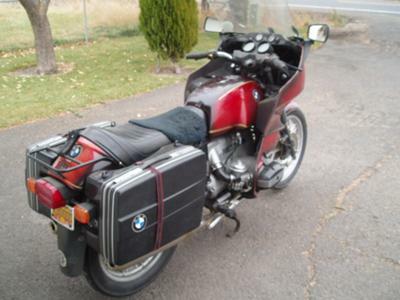 The 1979 BMW R100RT has only 44,758 total miles with approximately 6,000 miles on the motorcycle's tires. The old BMW has been garage kept and it still has its original paint that is in good condition. The engine has been well maintained and is still running strong. This vintage BMW motorcycle for sale is located in Langley BC Canada and my asking price is a very cheap $4,100.00 or you are welcome to submit a best offer bid when you (Serious inquiries only) email me your questions and offers using the space below that has been provided by GoGoCycles Used Motorcycles for Sale (and PLEASE do not neglect to include your contact information in your email or to provide a phone number or email address if you leave a message!) so that I can respond with answers to your questions or after consideration of your best offer as quickly as possible. 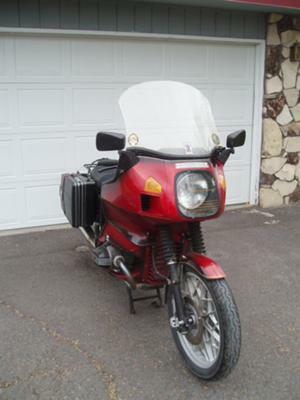 You won't find a nicer vintage BMW motorcycle for sale in Canada on Craigslist or in an Ebay auction so hurry and make an offer before this practically all original classic bike gets away from you! GoGoCycles would also encourage bikers to submit a review of the 1979 BMW R100RT Classic for Sale to make the biker community aware of any problems that are commonly associated with the old BMW or to highlight its positive features and help potential buyers make informed decisions.